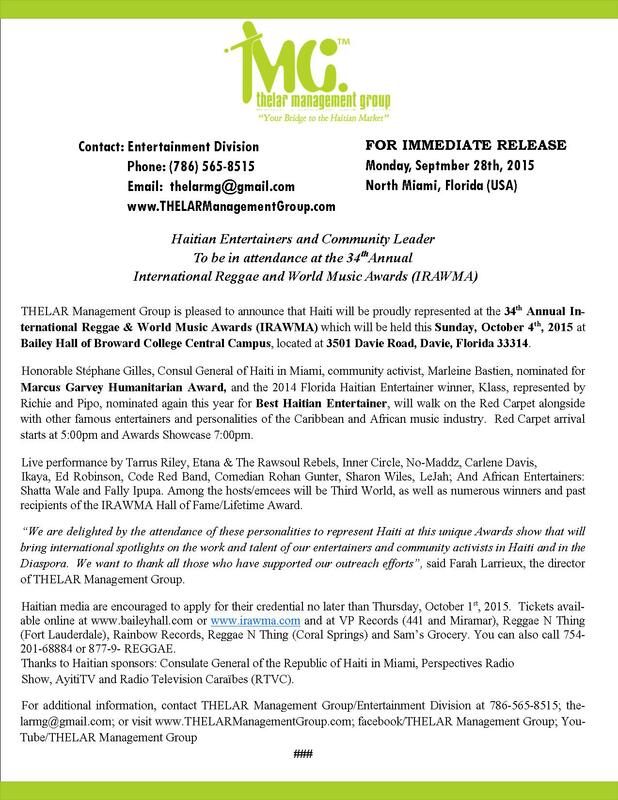 "With you, time is important..."
" My experience with THELAR has been different: timing is respected, campaign management and interviews on point.  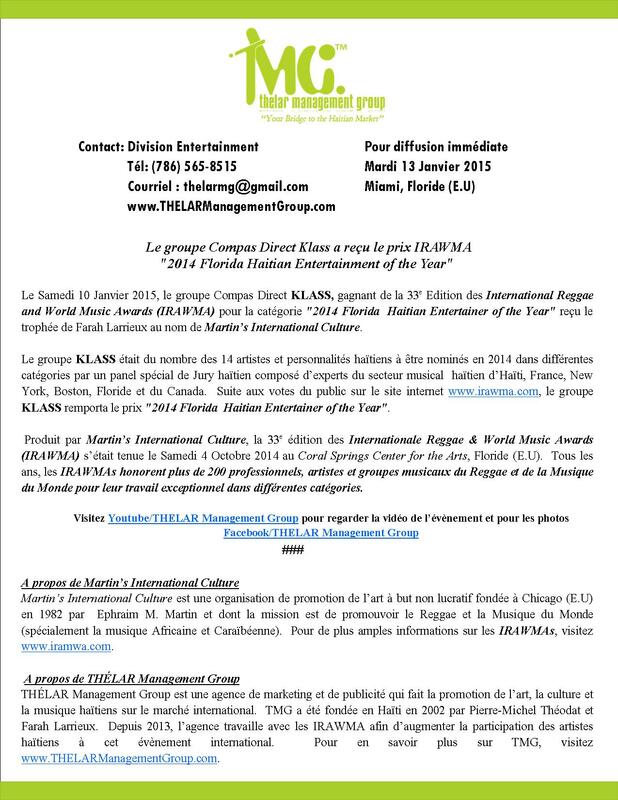 Follow up never received before in this industry... For the overseas campaign Valerio Canez use 3 providers. 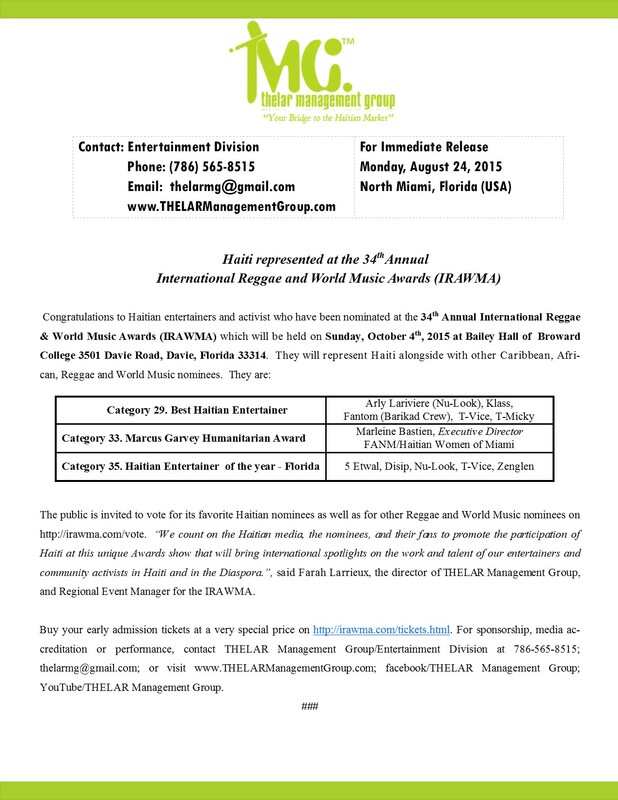 THELAR for Florida and 2 others for NY, Boston, New Jersey, Atlanta and Montreal. 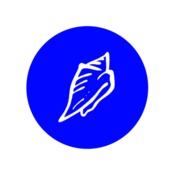 Your company is providing so far over 50 percent of the calls even though you only carry 30 percent of the advertising." 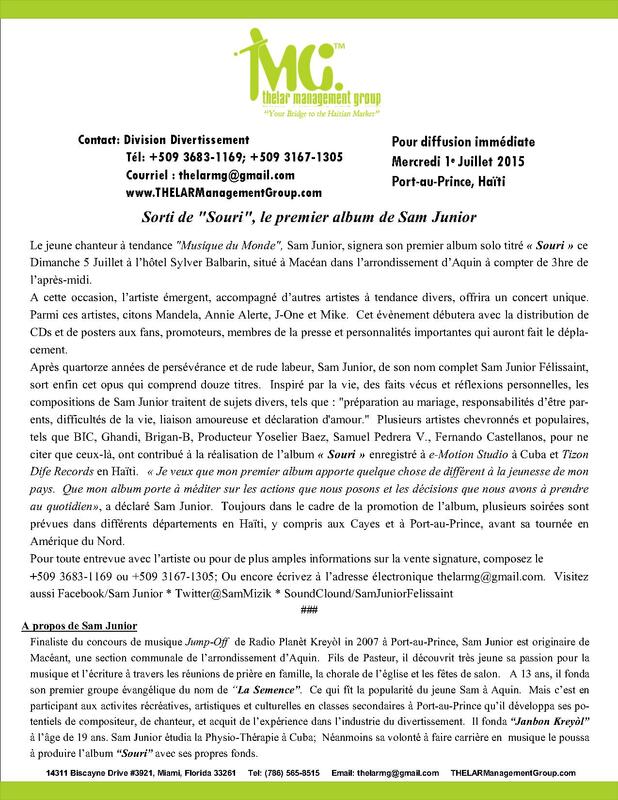 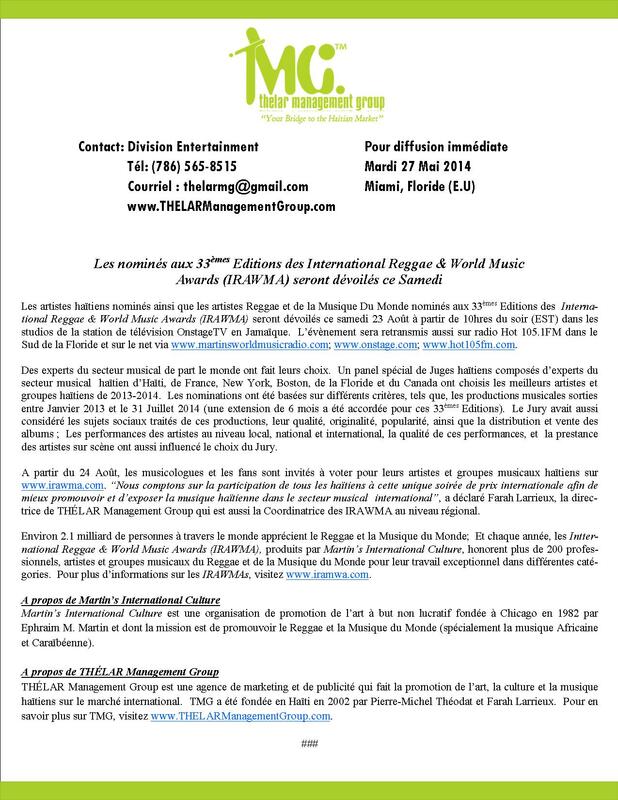 "Le trait d'union le plus sure..."
"Je crois fermement que, dans la diaspora Haitienne, THELAR Management Group est le trait d'union le plus sure, le pont le plus solide entre la musique Haitienne et le marché international." 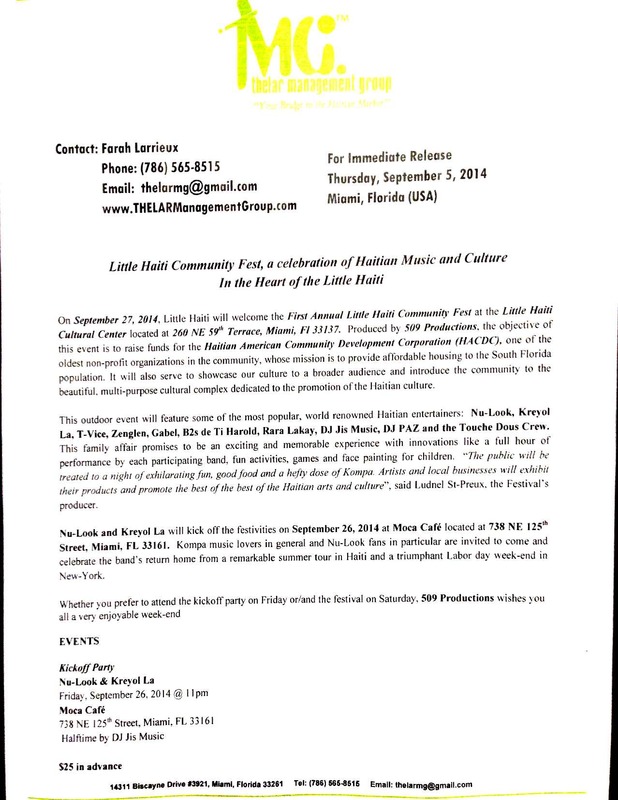 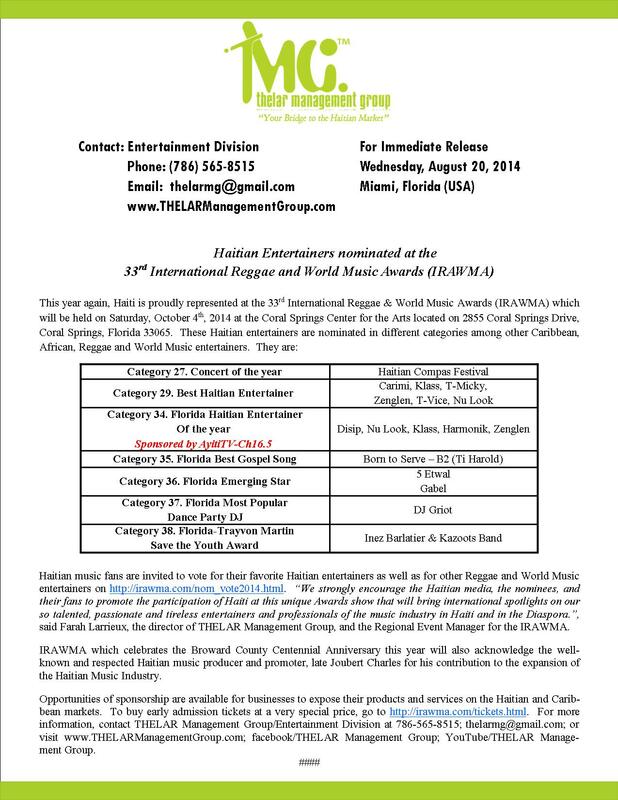 October 4, 2014: 33rd International Reggae & World Music Awards (IRAMWA) at Coral Springs Center for the Arts, in Coral Springs, Florida. 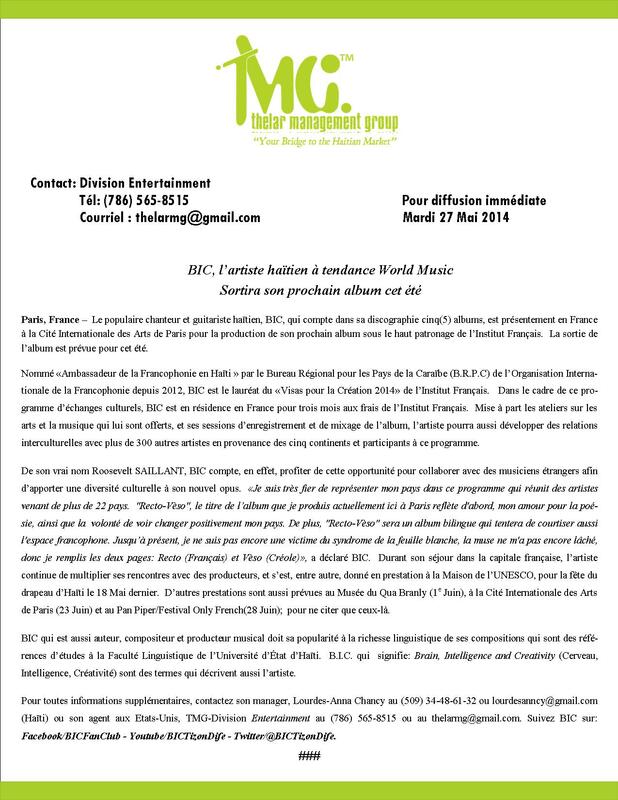 BIC in France for his upcoming album. 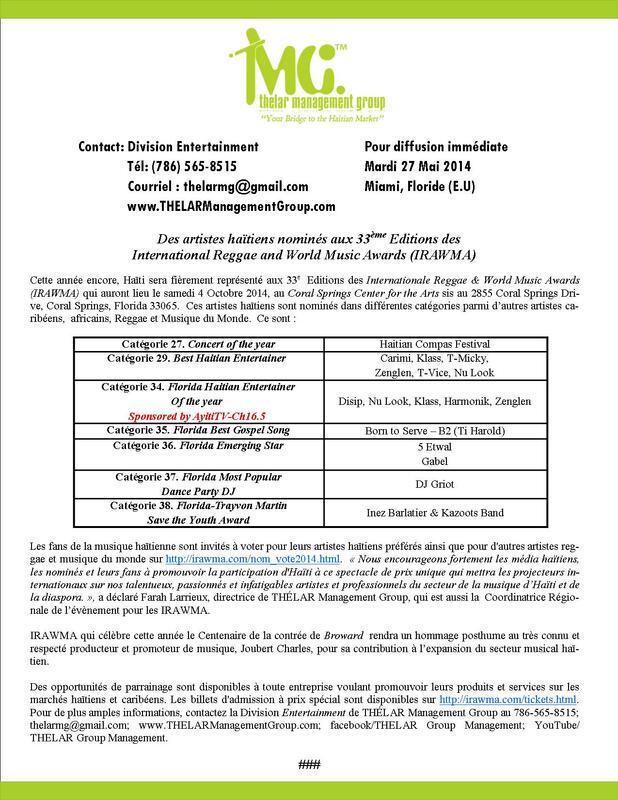 May 7-19, 2014: Rooby Man Florida Promotional Tour.
" 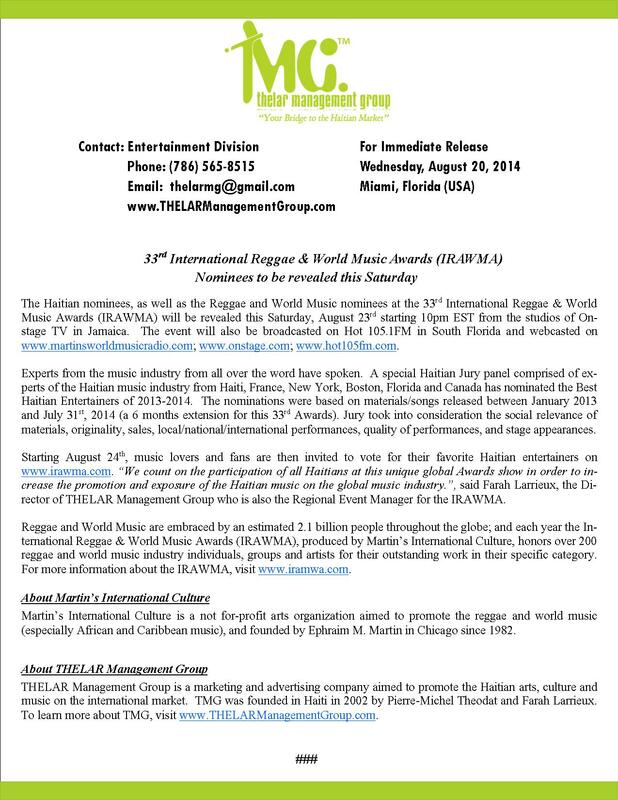 In 2013, in a very short time, THELAR Management Group helped us to increase the visibility of the IRAWMA in Haiti and in the Haitian Diaspora, while we are discovering and exposing the best Haitian bands and recording artists....IRAWMA’s team is very proud and pleased to have THELAR Management Group as a partner." 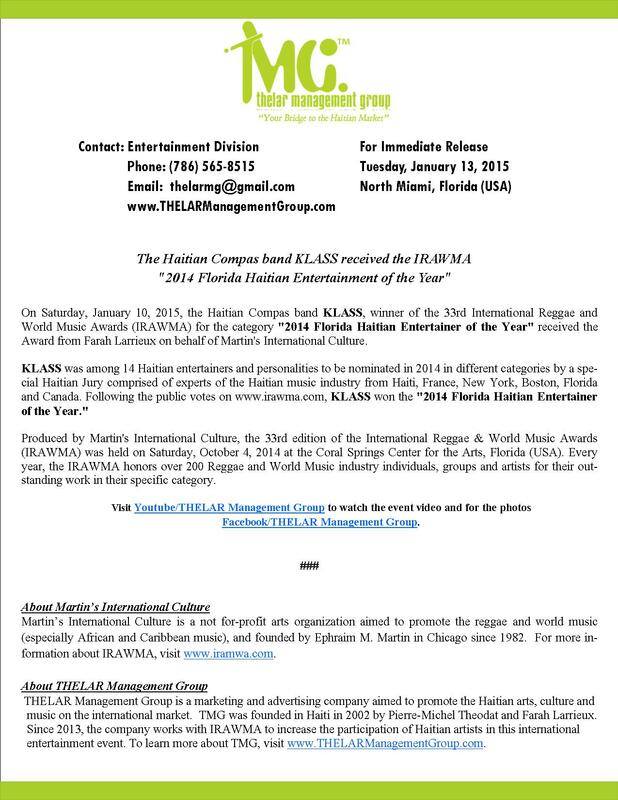 President, Martin’s International Culture, Inc.